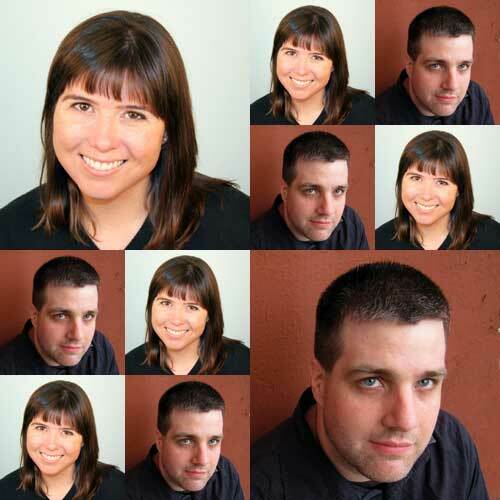 Gina Trapani and Paul Ford are programmers, interface designers, authors, editors, and broadcasters. They are consistently involved in the kinds of projects that we as librarians undertake when we’re at our best: finding imaginative, meaningful ways to make as much information as possible widely available, easily accessible, and interesting. Gina Trapani was the founding editor of Lifehacker and has published Lifehacker: 88 Tech Tricks to Turbocharge Your Day (Wiley, 2006), Upgrade Your Life: The Lifehacker Guide to Working Smarter, Faster, Better (Wiley, 2008), The Complete Guide to Google Wave (3ones, 2010), and Lifehacker: The Guide to Working Smarter, Faster, and Better (Wiley, 2011) (the latter two with co-author Adam Pash). She is currently the founding and lead developer for ThinkUp, “a free, open source web application” that you can use to track “all your activity on social networks like Twitter, Facebook and Google+,” the author and publisher of Todo.txt apps (available for iOS and Android, as well as other platforms), the creator of Narrow the Gapp, “a data-driven web site about the gender pay gap” that is made with “open data, Isosceles, Bootstrap, insomnia, outrage, and hope,” and a co-host of This Week in Google on the TWiT.tv network. Fast Company named her one of the “Most Influential Women in Technology” in 2009 and 2010, and Wired gave her its Rave Award for blogging in 2006. She lives in San Diego. These are just some highlights: read her complete profile, her list of activities (going back to 2005; why don’t we all publish this kind of list about ourselves? ), her GitHub profile, her Wikipedia entry, and her blog, Smarterware, for more information. When you review your career, what themes do you see? Paul: I have always wanted to integrate my love for writing with my love of technology, but for the duration of my career—which has been fun for me but rather spotty in terms of it being “a career”—the right way to combine the two has often been a puzzle. I often felt that the people who want me to write found my nerdishness a novelty at best, suspicious at worst, and I spent a lot of time, you know, being called out of meetings so that I could fix a boss’s daughter’s iPod. The people who hired me to build websites found the writing suspect and were concerned that I’d write about them, which of course I never did, as I have sense. It’s very important in a workplace to settle people into roles so that you know they won’t go over to some other division and ask questions and piss everyone off. Now, however, all of this seems to be less of a big deal, and the people who hire me to be a nerd for them are less anxious about the writing, probably because when they read me they realize I’m a big nerd—whereas the people who hire me to write are glad that I can read standards documents, code, etc., as that makes me less likely to make big mistakes and gives me occasional insights. Gina: I’ve had two major obsessions in my career so far: personal publishing and archiving, and technology’s role in personal productivity. I have a terrible memory. I can’t remember what I ate for dinner last night, much less things like what countries I’ve visited or important people I’ve met. My father passed away when I was 20 years old. The fear of losing memories of the little time I had with him (and everyone who means something to me) drives a compulsion to journal, blog, tweet, post status updates, check in, and upload photos. The web makes it so easy to publish and share the most mundane moments. [Insert hackneyed joke about tweeting what you ate for lunch here.] But that’s the stuff that can potentially mean so much down the road, in retrospect. So, I’ve spent a lot of my career working on personal publishing and archiving tools as a way to augment my own memory, as well as leave something behind that will help my kids understand me better someday. I’m also a procrastinator who suffers from a severe case of distractibility. I got interested in tech-driven personal productivity because hey, if you can code an algorithm that makes a computer complete tasks more efficiently, why can’t you “program” a human to do the same? I think the desire to systematize everything, to shave seconds off of every email reply, to figure out how to add items to your todo list in the fewest keystrokes possible—that all comes from some exaggerated sense of mortality. The more seconds and minutes that get away from me while I’m whiling away time on Facebook, the less chance I’ll have to do something meaningful. You’ve both spent a lot of time on projects that encouraged you to think like an archivist or librarian (such as Gina’s ThinkUp and other work with personal archives, as well as Narrow the Gapp, and Paul’s SXSW MP3 catalog and the Harper’s website, especially digitizing its archive). What aspects of working with archives were different from what you expected? Gina: I’ve had it easy, not having to convince big organizations to digitize their past work. I’ve worked almost exclusively with data that’s available via APIs or published documents. When I started ThinkUp, I was in love with the idea of simply giving users control and ownership of their social data archive. But a database alone isn’t compelling enough. The question is: how does this app present or remix this data in a way that turns it into an insight? The possibilities are endless, but finding the really useful ones is the challenge. Paul: For me the key to working with large corpora of any kind is to think in multiples. If it takes you this long to scan one page, or review one MP3, how long will it take to do thousands or tens of thousands? What is the unit of work? How many hours are in a day? What can I parallelize? What are the limits I’ll hit in terms of storage, or human effort, or budget? And then you work backwards from there. The other thing I’ve learned, working with many organizations, is that assets are not easily unlocked—it’s one thing to say “can we put this online?” And another to deal with the legal, territorial, and cultural anxieties that define a big organization. That’s why so many archives never see the light of day. Like editing and criticism, preserving texts and making them accessible can change how you think about the texts that you create. How have your archiving activities influenced your writing? Paul: Prose and archives are different kinds of documents with different interfaces. Reading at its best is a linear experience—you are carried along by the story. The territory is controlled by the author. Archives are for exploring, for piecing together understanding of history by trawling ephemera and uncovering odd corners of the past that challenge your assumptions of how people behaved. So when I write I’m thinking about how to create a single common experience between the reader and myself. And when I work on archives I’m thinking about the facets that can be used to search and explore. Gina: Yes, Paul’s exactly right—an archivist builds facets of exploration and a writer creates a single common experience. When I’m writing online in any form, whether it’s an essay or a Facebook status update, I get hung up on the grand contradiction of the web. On one hand, it’s easy (and encouraged!) to publish the most thoughtless off-the-cuff observations that matter in the moment, to “share” with your “friends.” On the other, the technology means those ideas potentially have the shelf-life of generations. It’s not just the Google cache, either. When I think that the Library of Congress archived my tweet about being stuck in traffic last week, it gives me chills. It makes me aspire to publish things that are fit for a long shelf life. I think longtime web writers are archivists at heart, and treat social networks as distribution channels versus publishing tools. The old-school blogger or essayist regards the work like “books on a shelf”—writing published at a permalink at a domain name they maintain and refer back to later. Today, the popular way to publish is to just add your ideas to the stream of ephemera that flows by on one service or another. If you’re lucky, it’ll get a thumbs-up or a star or a plus one or a comment. But eventually, it winds up in cold storage in some social networking company’s data center. Gina touched on this in her answer, but I’d like to know more. What are your thoughts on writing for social networks vs. writing shorter pieces for the web vs. writing longer pieces for the web vs. writing for print-based periodicals vs. writing for ebooks or print-based books? Gina: The nature of print scares the daylights out of me. Once the ink hits that page, it’s all so final. Before I published a book or a print magazine article, I thought I wasn’t a “real” writer because I only worked on the web. Several books and magazine articles later the web is still by far my medium of choice—whether it’s a long piece for an online publication, a short piece for my blog, a tweet or even an ebook. Paul: I no longer really see the difference. In print you get paid more and often factchecked. But I’m the same kind of writer for each. It seems that an ever increasing percentage of professional writers and publishers are making their books and articles available for free or, in the case of publishing or distributing through Amazon, feel compelled to sell it for less than they think it’s worth. There are notable holdouts: Harper’s publisher John R. MacCarthur counsels writers not to write for free, and Warren Buffett recently placed a big bet on the ongoing profitability of local newspapers. What are your thoughts on the future of writing as a profession, both for yourself and in general? Gina: The mediums may change, but there will always be a need for good writers in this world. How difficult or easy will it be to get paid for that skill? It’s complicated. In my limited experience, giving away my writing “for free” led to my first pro gig, which led to a book deal, which yielded magazine assignments, a web show, etc. I guess on some level I believe that giving your work away is how you get paid, eventually. Paul: Gina’s right—giving it away brings opportunities. In general it’s very hard to get people to offer you money for writing, and even harder to get them to send the check. Like most careers in the arts, it’s something you do first for the love of it. My In the Lead Pipe with the Lead Pipe colleague, Micah Vandegrift, suggested I ask you about the relationship between your technical work and your writing. How do your coding, interface design, and writing complement one another? Do they ever interfere with each other? Gina: At the keyboard level, writing code and writing prose are vastly different activities. I have to consciously shift gears from one to do the other. Code is a functional thing. It either works or it doesn’t, and there are tests which tell you if your code passes or fails. You spend a lot of time debugging problems. You have a lot more leeway writing prose. Whether or not it works is a more subjective assessment. Zooming out, the skills do complement each other. I like to think my writing experience has helped me produce code that’s easier to read and understand, that’s coherently commented, and that’s well-documented. Since I primarily work on open-source software, releasing it is an act of publishing, so readability and maintainability is a top priority. On the other side, I hope my background as a coder helps me make more logical, well-reasoned points when I’m editing a piece. Paul: They combine in many ways. For example, when I review books I scan them in and search through them, and can extract the text and manipulate it to count words. Programming can be a tool for seeing patterns, which is complementary to the requirements of book reviewing. Also, very often, when I am trying to get writing projects done, I will write tools for content management, instead of actually creating content, as a most pleasurable means of procrastination. Kudos to Karen Schneider for suggesting I ask you about women in tech. What are the key interim steps that will get us where we should be? By the time Paul’s nine-month-old twins learn to program computers, will anyone think twice if his daughter is better at it than his son? What about by the time they enter the workforce? Gina: I wish I knew the answers to these questions. Two major things we must do: get ‘em young, and make STEM-related educational institutions and workplaces as welcoming as possible to women and girls. Paul: This is a very serious issue that I have not investigated in depth, so I’m not going to offer an opinion. Except to say this: I’ve worked with a number of great female programmers, information architects, project managers, and senior executives who were entirely equivalent in skill to their male counterparts. What criteria do you use in determining which activities you’re interested in pursuing? Paul: I don’t really make decisions. Instead, I pick my friends carefully. Then I go where people ask me to go; when no one needs me to go anywhere or do anything I work on longer essays that I’ll publish some day. Gina: I say “no” to everything by default. Most of the time, I’m at peace with that. When it makes me uncomfortable or regretful, I reconsider. It’s hard to say exactly what the criteria is for the stuff I decide to pursue. It’s just a gut feeling. If I feel a spark of excitement about something, I’m in. That said, I do enjoy paying my bills on time and in full. Thanks to Paul Ford and Gina Trapani for their thoughtful responses and their generosity, and to Karen Schneider and Micah Vandegrift for their helpful comments on earlier drafts of this article. Really great interview. I was particularly interested in Gina’s impetus to archive the details of her life partially because of her father’s death. My husband’s mother died when he was 6, and he later became fascinated with photography as a means of slowing down time and savoring the past… He’s now a pretty accomplished professional and still enjoys the archival nature of his work, knowing that he is documenting life in a way that can be revisited. Thanks, Erica, for your comment. I admire your husband for turning his loss into something so positive. While I’ve been fortunate enough not to have experienced anything I would compare to the death of a parent, one of the ways I’ve reacted to difficulties in my own life has been… well, fanboyishness. I emulate the work of people I admire as often as I can, and try to work with them myself when it seems to make sense. Lead Pipe has been a great excuse to email role models like Gina Trapani and Paul Ford to see if they would be interested in sharing their ideas with our readers. Maybe I’ve been picking my role models well, or maybe I’ve just been lucky, but a surprisingly high percentage of the people I’ve asked to interview, write guest articles, or serve as reviewers have agreed to participate.